Before the opera starts, the tragedy has already been set in motion. The gypsy Azucena has vowed to avenge the murder of her mother at the hands of the aristocratic Luna family, and so has abducted their younger son. The opera joins the story years later, when Azucena’s foster-son Manrico and the military commander Count di Luna have become rivals in love for Leonora. Azucena has a secret that affects both men: will she tell it, or will she see her revenge through at any cost? 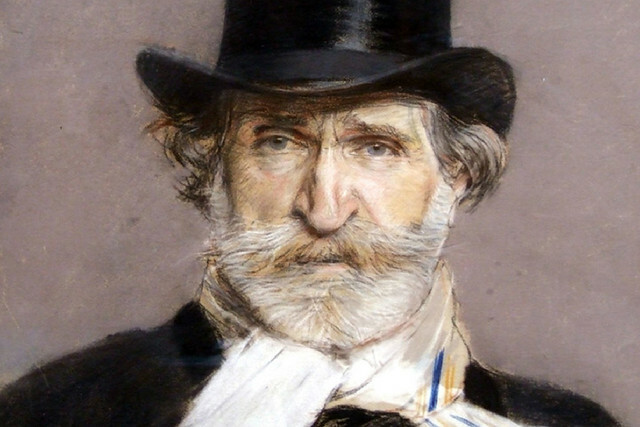 Verdi began work on Il trovatore in 1851, soon after the premiere of Rigoletto. According to some sources he saw Il trovatore as a spiritual sequel, this time with a female protagonist trapped between love for her child and urgent desire for vengeance. Work on Il trovatore took time (Verdi’s librettist Salvadore Cammarano died in 1852, and Leon Emanuele Bardare was brought in to complete the text) but the opera finally had a successful premiere on 19 January 1853 at the Apollo Theatre in Rome. Il trovatore quickly became one of Verdi’s most popular operas. Verdi was inspired by the wild passions of his four principal characters to write some of his greatest arias. These include the brooding ‘Stride la vampa’ (Part II) for Azucena – the first of several great Verdi roles, including Eboli and Amneris, for mezzo-soprano; the heroic ‘Di quella pira’ for Manrico (Part III); Leonora’s poignant ‘D’amor sull’ali rosee’ (Part IV); and Count di Luna’s brief episode of vulnerability as he sings of his love for Leonora in ‘Il balen del suo sorriso’ (Part II). Verdi wanted Il trovatore to be ‘daring’ with ‘many contrasts’. His score includes dramatic narratives, reflective arias, impassioned duets and fiery choruses – including the famous Anvil Chorus using industrial tools as percussion. It uses traditional operatic conventions but also subverts them, and demonstrates from start to finish an immense musical energy, reflecting the inexorable process of this drama of vengeance. Director David Bösch emphasizes the conflict between two worlds: the fragile, poetic world of the gypsies (with its fascination with the supernatural) and the brutal military world of Count di Luna. The military setting complements the personal war between Manrico and the Count, rivals in love. Imagery of snow and fire unites the two very different worlds, and reflects the vividly drawn passions of the leading characters. The staging is a co-production with Frankfurt Opera and is staged with generous philanthropic support from the Royal Opera House Endowment Fund. Il Trovatore is not a first opera for a young child. All performances I saw of it (Met Opera) was dark and dingy. One of the greatest anyone composed, but dark nevertheless. My first opera ever was Cavaleria at Istanbul Opera 50 years ago. I only hope it's as good as the brilliant Lucia. Really hoping that it is as good as Katie Mitchell's superb and incredibly affecting production of Lucia. Lucia was dire. It was Katie Mitchell's Lucia definitely not Donizetti's. Joan Sutherland would never have made her big break with this production. Never been so disappointed in an opera production as I was with this travesty. Please please let this be better than Lucia, which in fact was dreadful and made me wish I hadn't spent so much on coming to the Royal Opera House.